The news that Jaime Alguersuari and Sébastien Buemi have been booted from Toro Rosso is both a shock and actually not really a surprise at all. For the majority of the 2011 season, we were speculating which of the two would be given the chop from the team as results swung this way and that. Towards the end of the year, the top bosses at Toro Rosso stopped being so harsh on their drivers and that may be why we thought they were safe. Mr C swears blind that in a recent(ish) podcast, he said if you can't decide which driver to axe, then drop them both. That is exactly what Toro Rosso have done, under the guise of bringing new talent into Formula One. Daniel Ricciardo and Jean-Éric Vergne are getting their chance at the big time, although Ricciardo has already had eleven races at HRT. He hasn't shone there, but I'd be surprised if anyone actually could. 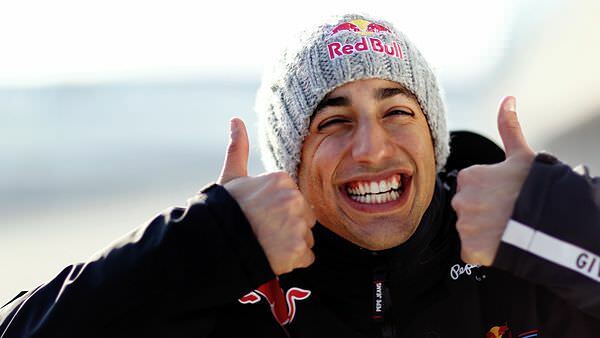 I'm sad that Buemi and Alguersuari are going, because I liked them both. They made a good (cute) team, and the results were gradually starting to come in. They may not have been consistent but were both still young enough to turn things around. Remembering how drivers like Massa have grown and improved as they have been given some stability indicates that the revolving door of F1 doesn't help. The news is compounded by the fact that two potential talents have been ousted from the sport (although there are still a couple of unconfirmed seats still to be snapped up), whilst Pedro de la Rosa makes his comeback to a full time race drive with the aforementioned HRT. Pedro is 40 years old, has spent a decade as a test driver for McLaren, and has already had several opportunities to make his mark out on track. Age shouldn't be a barrier, and there should be a wide array of experience and youth mixed up in the paddock. The trouble is, as we have seen so often since testing has been limited, experience conquers all. Teams are more keen than ever to keep talented drivers in their midst, knowing that to turn to the untested youth will mean starting right back at the beginning with a rookie, all the hard work still to do and learning curve still to climb. Friday drives can give a slight advantage - we've seen it work for Paul di Resta - but that's still a big step away from getting quality one to one time in the car. The more teams want to keep drivers, and recall drivers that we thought had left already, the more they keep the experience. Crucially, however, the more they keep the experience, the less they look to the future. Toro Rosso are, at least, giving young drivers a chance. Unfortunately, as one of the few teams to be doing that, they are also guilty of throwing away good potential. There are plenty of drivers out there who want to make the step up to F1, and it's always been intensely competitive. It's never been fair, pay drivers have long since been a part of the equation, and in the end, there are only a limited number of seats to go round. At the moment, with a record breaking number of former champions on the grid, drivers racking up the race starts like there's no tomorrow, and something of a bottleneck at the top, it feels like all the exiting is being done at the younger end of the field. Whatever can be done to fix the focus on experience, and instead share the love with the newbies as well, should be done. It could be bringing back testing, or changing the way practice sessions work, but it needs to be addressed. Meanwhile, Buemi and Alguersuari will be looking for a couple of race seats, and I wish them all the best of luck. Button to Red Bull Racing?